There are few directors that inspire such fanaticism and devotion as Christopher Nolan. Fortunately usually his name is worthy of such adulation. In my opinion, he hasn’t come out with a bad movie yet. His latest film, Dunkirk, is an unusual movie but in the end an amazing experience at the movies. Watching Dunkirk reminded me of the Civil War reenactments that are popular where I grew up. People gather together to recreate a battle and while they have character names the battle is the important thing not the narrative. 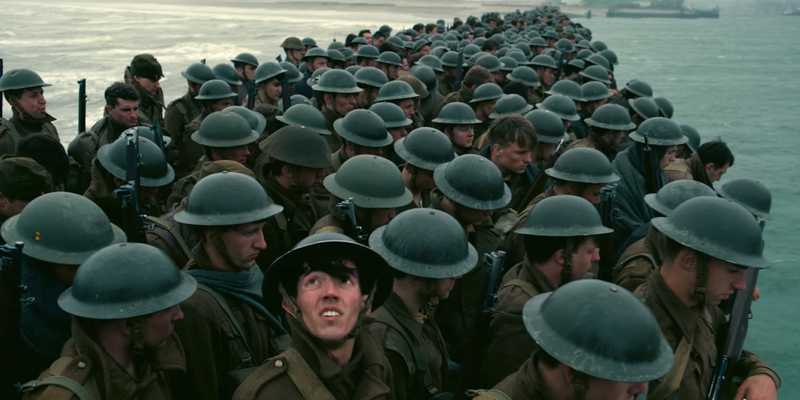 Likewise Dunkirk is a reenactment of a battle without a narrative to accompany it. I can see how this would annoy some viewers but it is executed so well that it worked. 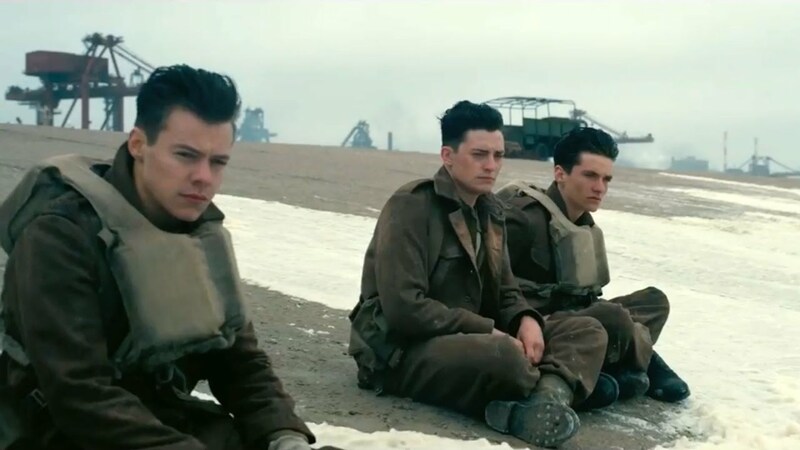 Nolan splits up Dunkirk into 3 parts- mole, sea, and air. Each of these segments follow different people and are at slightly different timetables. This means you see the same boat sink 3 times, same plane get shot down 3 times etc. However, each time you are seeing it from different perspectives. There is Harry Styles as a soldier on the ground looking out for a mole in their midst. Then Tom Hardy is in the air trying to take down German planes. And finally Mark Rylance commanding a pleasure boat to be one of the many civilians who aided the trapped soldiers at Dunkirk. Of all the narratives I think Mark Rylance and his sons works the best and is the only point that made me cry. You don’t learn anyone’s names or their backstories but it still moved me the most. Truth is Dunkirk is an experience more than it is a movie. It works because it is so well made and immersive. You feel like you are on the ground with those troops or on the boat with Mark Rylance. The sound design is so great it can be shocking that it is not real. It makes you want to reach out and help the boys as if they were right beside you. It’s that real. All the performances are top notch and in pretty much every way it is masterfully made on a technical level. It was an amazing experience to feel war on such a visceral and intimate level. However, often these experience movies are not the most rewatchable of films. 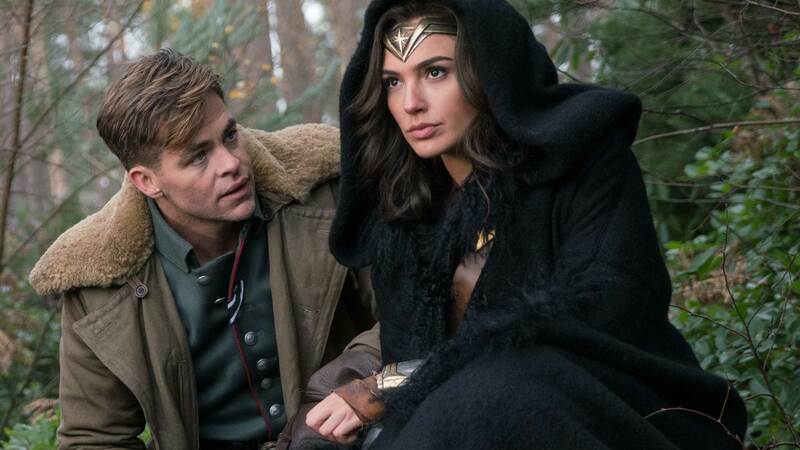 I don’t think every movie needs to be rewatchable but it is something to think about. I don’t think it would have the same impact on the small screen. It wouldn’t be as immersive or real and I might start itching for more character development. I recommend you go and see Dunkirk in the theaters, in IMAX if possible (the 70mm option wasn’t available for me unfortunately). It’s an experience you won’t soon forget. It’s not a narrative. It’s a reenactment and in that regard it is quite special. 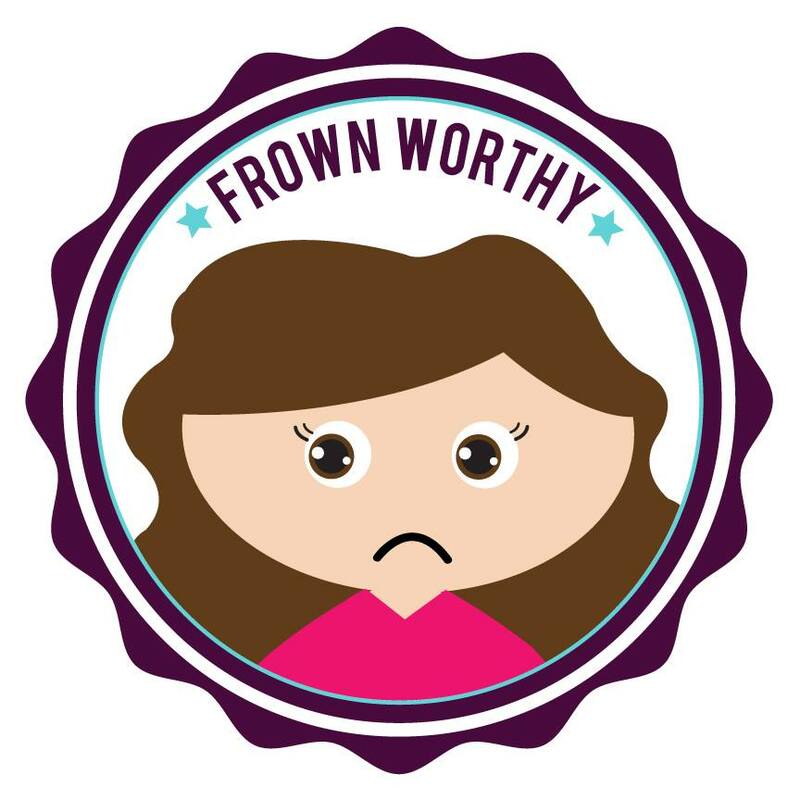 If you have been reading this blog for some time you know I am not often a fan of Dreamworks comedies. The parody style of humor just isn’t my thing. However, every once in a while they produce a Mr Peabody and Sherman that I do like, so I always go in with an open mind (why waste my time if I decide ahead of the movie I’m not going to like it?). 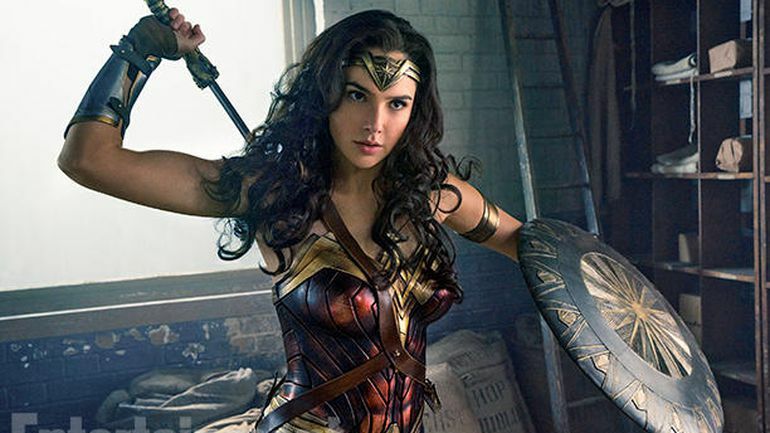 Fortunately, their newest film Captain Underpants: the First Epic Movie is such a welcome surprise. It is not only very funny but extremely creative in the animation to boot. One of the things that makes Captain Underpants special is it was made for a micro-budget of only $38 million! Dreamworks outsourced the film to a separate studio called Mikros Images in Canada as kind of an experiment in more manageable movie-making. This smaller budget forced the team to be creative with the animation and storytelling and it shows. They even joke about it once during an action scene where the narrator says ‘this would have been very expensive but here’s what would have happened!” LOL. I was so impressed by the way the movie uses different types of animation to tell the story. It is of course based on the popular books by Dav Pilkey but this isn’t just made for the fans of the books. The main animation has a flat yet 3D effect similar to what we saw from Blue Sky in The Peanuts Movie (an underrated film if you ask me! ), but the film doesn’t stop there. It incorporates 2D animation, both sketch and traditional styles, and even has a live action sock puppet sequence! 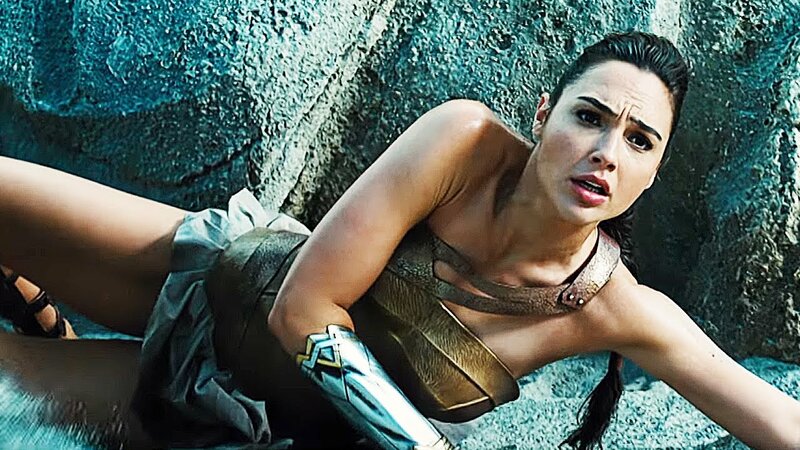 These choices weren’t merely gimmicks but kept the movie feeling fresh and surprising. The other strength of Captain Underpants is how funny it is. Nicholas Stoller who wrote The Muppets and Storks has upped his game making a hilarious script. It does have a lot of toilet humor and normally I hate that but for whatever reason in this film I laughed. I’ve even seen it twice and both times I’ve laughed (sometimes more than the kids around me. True story!). I think part of it is the movie goes for broke not holding back. 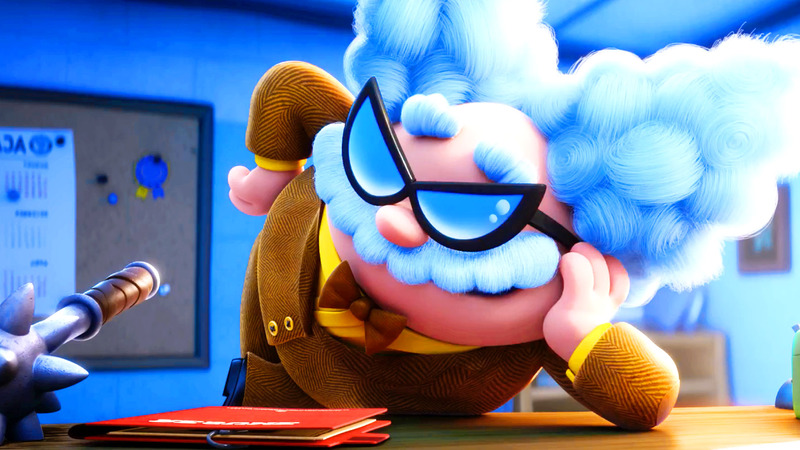 They even have a character named Professor Poopypants and it consistently made me laugh. I think it also helps that the two lead boys Harold and George are so likable and charming. They have big smiles and all the pranks and silliness they do is to make the kids at their terrible school happy. I loved the creativity of the boys and that they were designing their own comic books and stories. This is a good example for kids who spend too much time consuming entertainment and not creating their own art. I loved that the two boys were effortlessly diverse- meaning you had a black and white kid and it did not matter at all. It was never mentioned or made a plot point. They were just friends as they should be. It was also very funny that the greatest trauma in their lives is getting put in separate classes. I remember as a kid anxiously waiting to find out if my friends would be in the same class as me. Harold says “long distance relationships never work out” LOL. It’s interesting because out of all the characters Captain Underpants is probably the most forgettable part. He is part strict principal and part superhero, which is fun, but he mainly serves as a touch-point for the boys to react off of. I liked the boys so much I was kind of glad they were the main focus. I really only have 2 small complaints about Captain Underpants. The first is I wish they had used children as the voice actors. 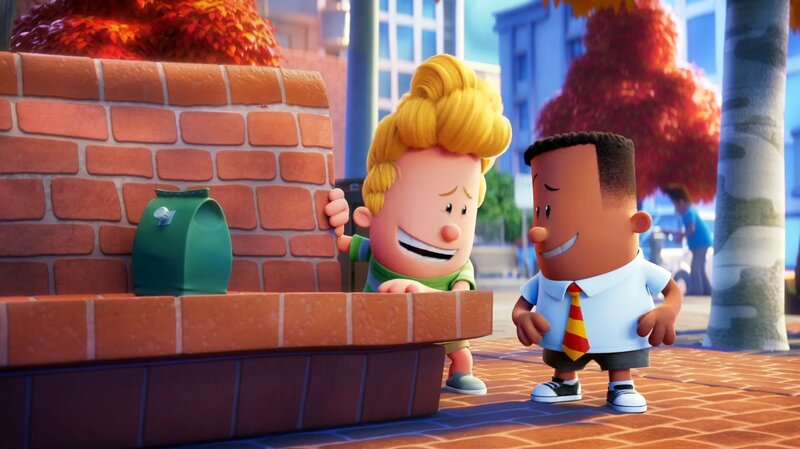 Kevin Hart and Thomas Middleditch are fine (Ed Helms as Captain Underpants) but it would have been more immersive if they sounded like children. 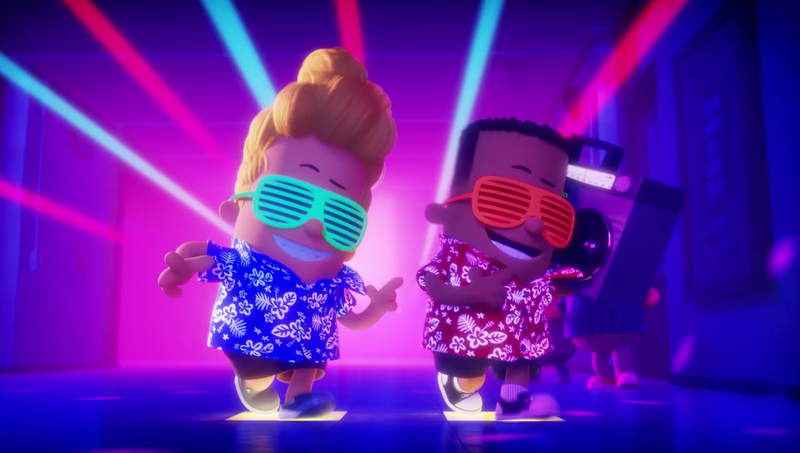 In the next movie it would be nice to get to know some of the other kids (you do meet tattle-tale Melvin voiced by Jordan Peele). Again to use The Peanuts Movie as an example, we get to meet more than just Charlie Brown and Snoopy but the whole gang instead. 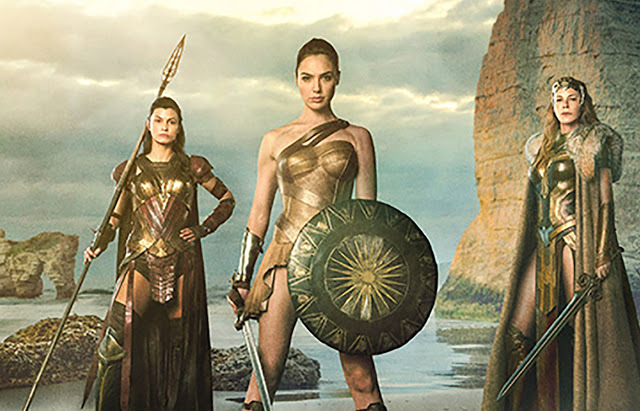 Hopefully there will be a Second Epic Movie because I really enjoyed this introduction! 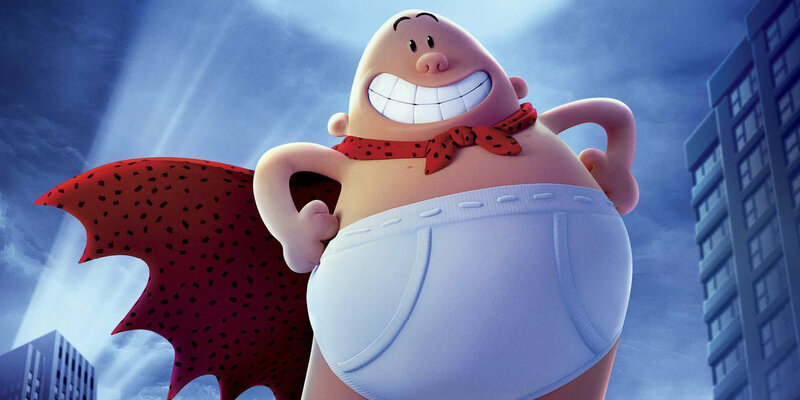 Captain Underpants: the First Epic Movie is made for children. It doesn’t have the winking adults-only humor that I hate in animation. It’s humor for kids but it still made me chuckle. The animation is surprising and inventive and the friendship of the boys gives the whole project heart. Check it out and support this new style of filmmaking from Dreamworks! Oh and the Weird Al theme song is great!